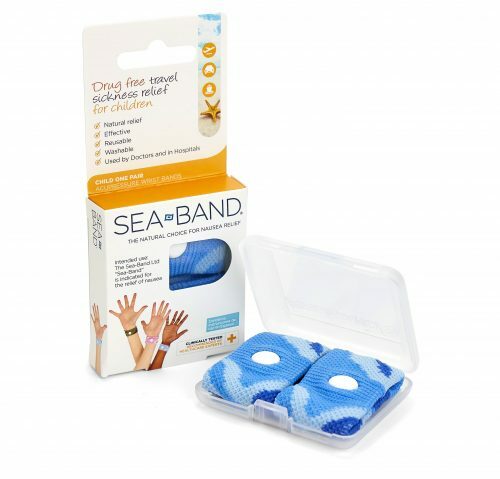 Sea-Band's are acupressure wrist bands that are clinically proven to relieve nausea, motion sickness and morning sickness in addition to helping with post-operative and chemotherapy-induced nausea. They are completely drug free and non invasive. They work by applying pressure on the P6 or Nei-Kuan acupressure point on each wrist by means of a plastic stud that work to restore balance in the body. Used by doctors and in hospitals, it is fast-acting, simple to use, and has the ability to be used over and over again. The plastic storage box is a convenient size, making it easy to keep with you at all times. Please note, only blue bands are available from our website at this time. Despite modern pharmaceutical remedies, nausea is still a common problem. In the U.S., fifty-three million people suffer from motion sickness, and up to 80% of women experience nausea during their pregnancy. Ginger has been used as a medicinal herb for thousands of years. Now you can enjoy its natural soothing properties in a fast-acting, great-tasting chewing gum. The Sea-Band Mama! has been specially created to help soothe and calm your tummy during your pregnancy so that you can start enjoying this special time again. Sea-Band's use acupressure and can be used in conjunction with either our Essential Oil Rollette with Ginger and Spearmint, or our Ginger Lozenges. 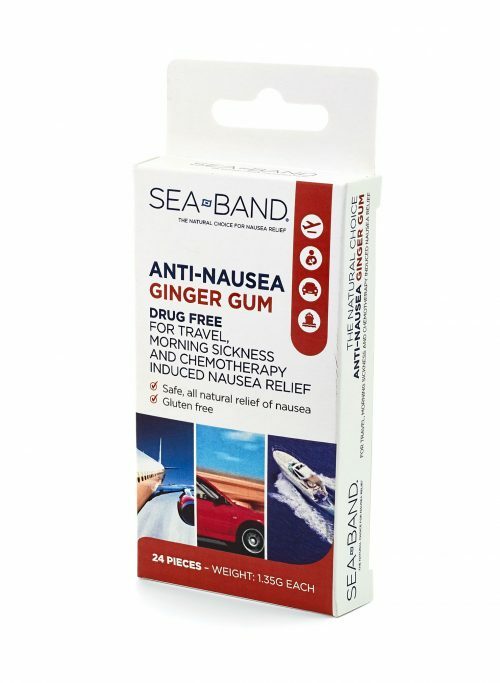 Sea-Band is a drug-free solution effective for most types of nausea. 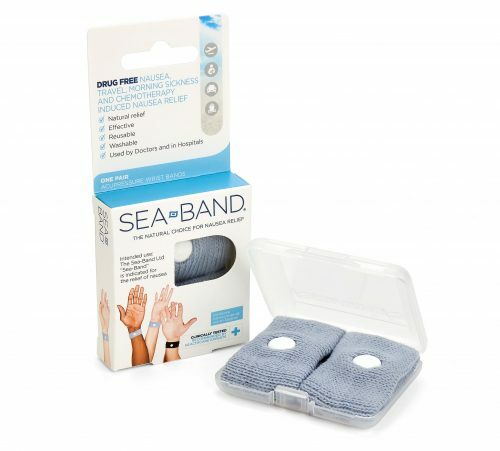 Completely natural, Sea-Band uses acupressure wristbands to gently restore balance to your body. No drugs. No side effects. Clinically tested. Suitable for most types of sickness. Sea-Bands is a knitted elasticated wristband that works because of a plastic knob swen into the side of the inside of the wrist-band which exerts pressure and stimulates the P6, or Nei-Kuan, acupressure point. It was been proven that pressure on this point relieves nausea and vomiting. 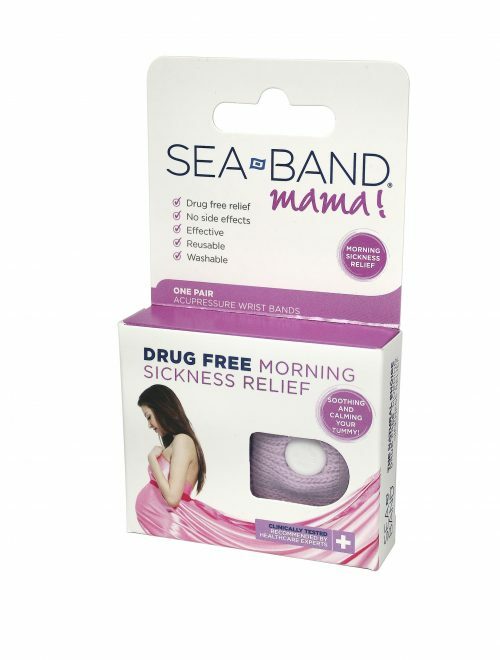 Sea-Bands work immediately and can be worn whenever you feel nauseous. This product can be used continuously and has repeated multiple uses. Sea-Bands are suitable for use by children from the age of 3 and up and is sold in different colors. Available from all good pharmacy retailers. Drug free occasional morning sickness relief in a concentrated lozenges form. As a herb, ginger has been used to treat occasional nausea and morning sickness for thousands of years. Now you can enjoy its naturally soothing properties in a convenient sugar free lozenge. May also be used for travel sickness, and chemotherapy induced nausea. Disclaimer: These statements have not been evaluated by the FDA. These products are not intended to diagnose, treat, cure, or prevent any disease. Sea-Band Mama! pocket sized Essential Oil, Calming Aromatherapy Rollette, contains a handmade, soothing blend of Ginger, Spearmint and Lime natural essential oils to help settle your stomach during pregnancy so that you can start to enjoy this special time again.Uses concentrated plant extracts in the form of essential oils and has been specially formulated with healthcare professionals. Sea-Band Mama! 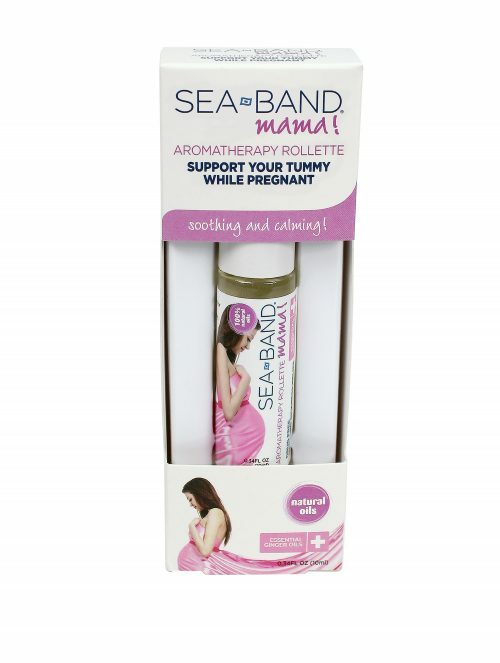 aromatherapy rollette can be used in conjunction with Sea-Band Mama! wristbands. HOW IT WORKS: Inhalation of essential oils stimulates the body’s olfactory system, transferring a signal to the limbic system thus triggering the release of natural chemicals that relieve tummy upset. Sea-Band Mama! pocket sized Essential Oil, is a convenient size that you can take with you anywhere. 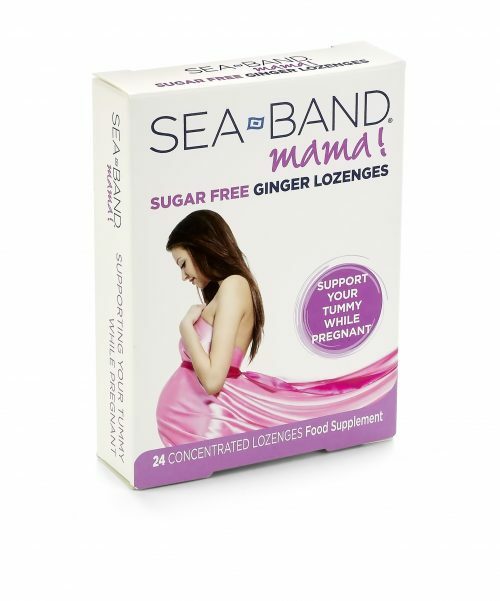 Enjoy your pregnancy again with Sea-Band Mama!